Haven’t decided whether to build or buy a saltwater aquarium ? For most people buying a ready-made aquarium is by far the easier option. But if you’re handy with tools and construction you might be thinking of building your own tank. This chapter will provide you with do-it-yourself instructions on how to build a 55-gallon glass aquarium to house your marine life. 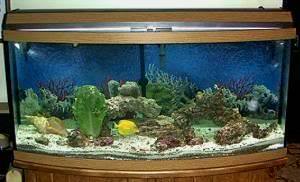 Ultimately it is for you to decide whether you want to build or buy a saltwater aquarium. If you are more comfortable with a bought tank, by all means, get one! Building a tank from scratch is challenging and not for beginners unless you have plenty of patience and are willing to ask for help. However using the materials list, step-by-step instructions and advice provided here you can build your very own glass aquarium. Whether you build or buy a saltwater aquarium you will find the setup fun and rewarding. However, having built your own special tank is doubly satisfying. Before you get started you need to know a thing or two about working with glass. The tank you are going to build is 14 inches high with ¼ inch glass panels. If you want to make a bigger saltwater aquarium you will need to learn how to calculate the correct thickness of glass for the size of the tank. If you haven’t decided whether to build or buy a saltwater aquarium you might want to consider how comfortable you are working with glass. 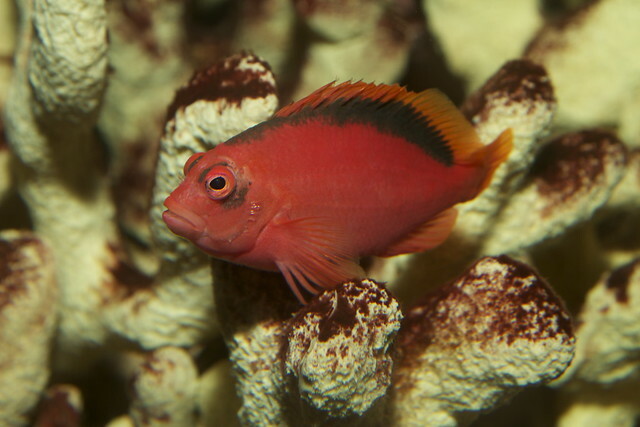 Whether you build or buy a saltwater aquarium, the first thing to do is to draw up a plan or schematic of the kind of saltwater aquarium you want. Make sure that all your measurements are correct so that the tank fits together properly. This aquarium is built with the two end panels fitted inside the back and front panes. The front, back, and side panels are set on top of the aquarium floor. If you don’t know how to cut glass you can ask the professionals to do it for you. If you build or buy a saltwater aquarium you need to understand how the glass is fitted together as this has a lot to do with the stability of the tank. Whether you decide to build or buy a saltwater aquarium you will probably be making use of a lighted hood. When you draw up your plans you must include the hood. You should never place a solid glass on the aquarium top as this reduces the gas exchange that occurs at the surface. If this happens your aquarium will not get enough aeration and the health of the tank will suffer. * Single edged razor blades. * Roll of paper towels. * Washable felt tip marker. * Roll of duct tape. * Emery cloth or silicone carbide sandpaper. 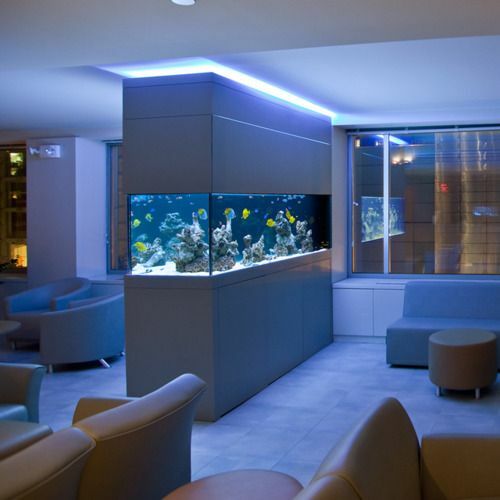 Whether you choose to build or buy a saltwater aquarium you should choose the biggest one that fits into your home. If your tank is bigger than 30 gallons in size you might want to install a support brace at the tank’s center. Do this by cutting a six-inch wide piece of glass that will fit the outside edges of the front and back panels. Use silicone to position it in place. Place your pieces on the floor or table in the correct order for assembly. If need be, mark them with words or arrows so you don’t lose track. Place the bottom panel on a flat non-scratch surface. Stick 8 pieces of tape to the glass on the bottom side (sticky side up). If you decide to build or buy a saltwater aquarium always take care not to scratch the glass. Now install the front glass piece. Next fold the two bottom pieces of tape upward and stick them to the glass. Now you are ready to install the first side panel by folding the 2 bottom duct tapes upward and sticking them to the front of the glass. Secure the side piece to the front piece of glass with 2 strips of tape. Next install the other side piece, and the back panel. Once the tank has been built use silicone to seal the eight joint areas on the inside of the tank. Use a small amount and smooth your thumb over the silicone to level it. Let the tank sit for 24 hours to cure the silicone. It does not matter if you choose to build or buy a saltwater aquarium, it is always vital that it does not leak! After the resting period, you can fill the tank with fresh water. Let it sit for 12 to 24 hours. Why? You are testing your tank for leaks! A 24 hour testing period is better as it will leave you more confident that your tank is actually watertight. 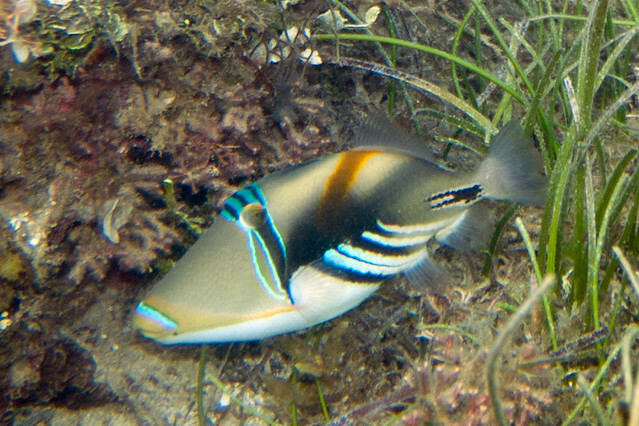 This is important whether you build or buy a saltwater aquarium. Once you are sure that your tank is fit for your marine world you can set about planning the fish, invertebrates, and plants that will go into your tank. 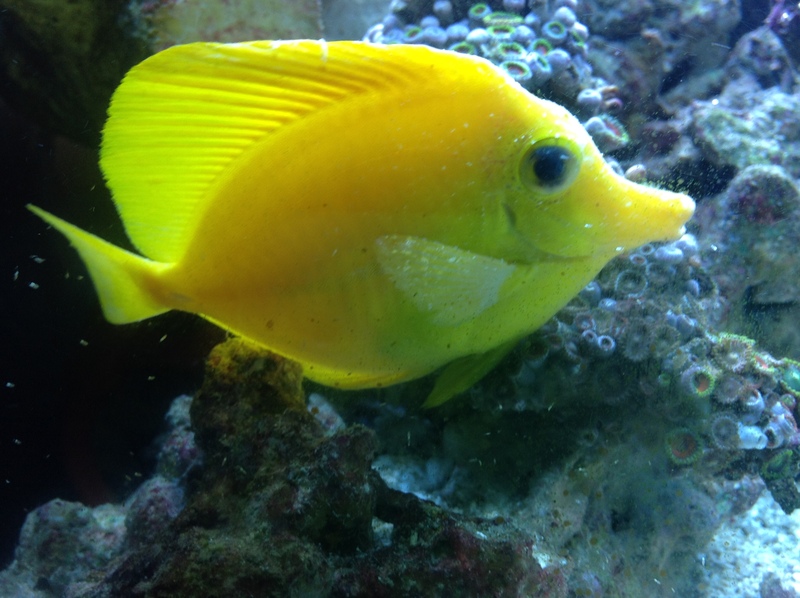 It is not that important whether you choose to build or buy a saltwater aquarium. Most people will probably opt for the ease of walking into a store and choosing a perfect, assembled tank but for those who like a challenge, constructing your own tank can be very satisfying. Once you have set everything up you will feel doubly proud! Enjoy your new aquarium!